Leading Manufacturer of railway electrification structures from Raipur. 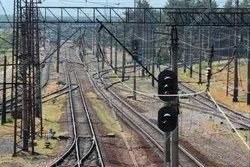 We are a trustyworthy organization offering a wide a gamut of Railway Electrification Structures. Looking for Railway Electrification Structures ?